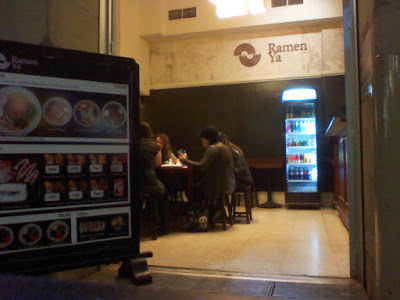 Ramen Ya is in a row of eateries that run down one side of the GPO complex in the CBD. I popped in for lunch with a mate. We ordered at the counter and found a table 'outside' but the cover meant it wasn't too cold even in the middle of winter. 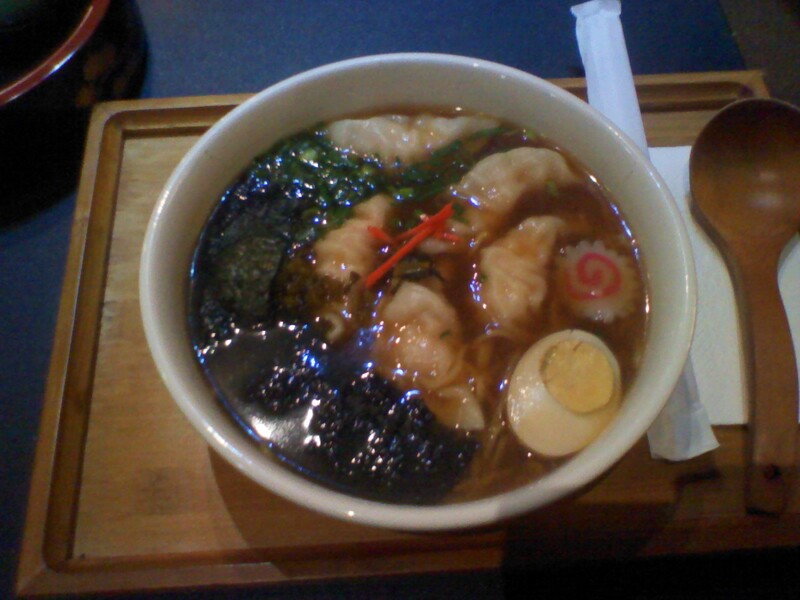 I went for the seafood gyōza ramen, the dumplings were great, the chicken and soy soup tasty and despite normally being a ramen noodle fan I was impressed. The serve was large, and filled me up. 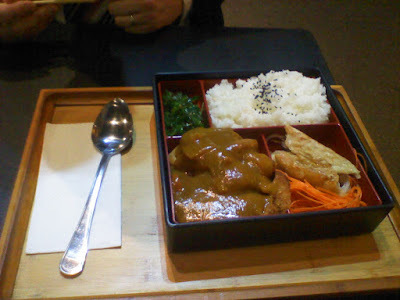 Mr Hatch had the chicken curry Bentobox, which he enjoyed, although it left him still a little hungry.